When a friend of mine posted about his first blog about trees in fantasy fiction I couldn’t resist it to talk about it either but in the way the Vikings did. Barnstokkr: in the great hall of King Völsung. Donar’s Oak: also known as Thor’s oak. Irminsul: there is discussion about this tree for over more then hundred years but named after Odin. Læraðr: known as betrayal. 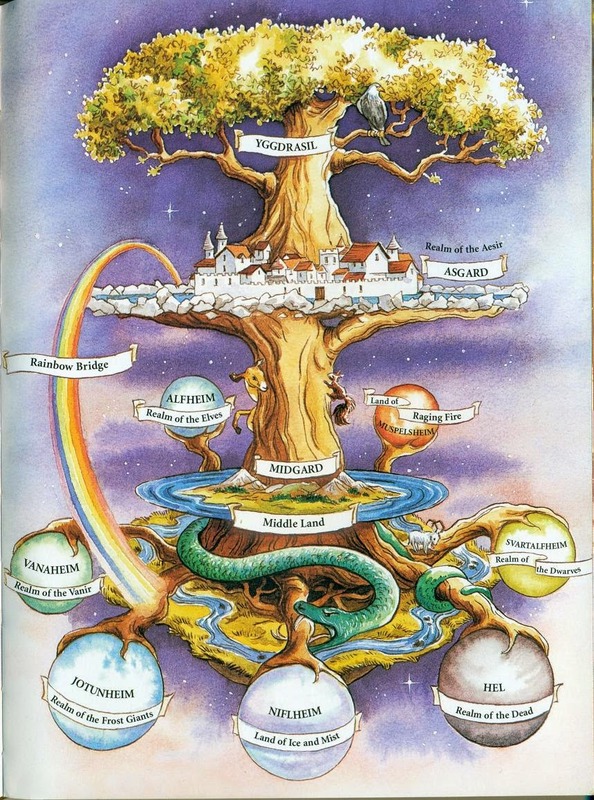 Related to Yggdrasil because Odin took his life and hung himself at the tree of life. Sacred tree of Upsalla: stood in the temple of Upsalla. They all refer to the tree of life. Different myths are told about those trees. Which of them are used in the tv series of Vikings? Yggdrasil, Glasir and the Sacred tree of Upsalla.